Turn your house into a home with some help from Produit Intérieur Brut! - jabuz ! Turn your house into a home with some help from Produit Intérieur Brut! PIB Home is something of a treasure trove for anyone who’s passionate about interior design and furniture. This website follows the latest trends so you don’t have to – designs to help you create your perfect look, whether it’s a shabby chic decor, a Bohemian bathroom, an industrially-inspired living room or a minimalist Scandinavian style dining room. PIB-Home has a wide range of tables, chairs, light fixtures, cupboards, storage units and other accessories tailored to suit different styles. Much of the focus in contemporary interior design is on the past – this may take the shape of design classics or just very day-to-day objects which encapsulate the spirit of bygone days. The Chesterfield sofa that you see below probably fits into both these categories. 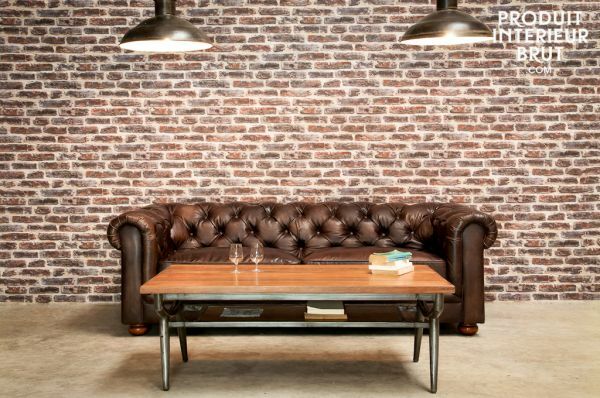 Dating from the 1920s, the Chesterfield claims both British and French parentage. It combines the luxury of leather with a more comfortable, ergonomic design. It was very popular amongst the wealthy and as it has become more accessible in price, its popularity has continued to grow. It can be used to add a retro touch to a living room. Faut-il investir dans un téléphone portable de marque ?